The concert ‘WAY BACK XIA’ in Japan! Singer Xia successfully finished his Japanese tour concert in Japan. Xia's Japan Tour concert "2019 WAY BACK XIA TOUR CONCERT in JAPAN" visited japanese fans. Starting with a performance by Makuhari Metse in Chiba, Tokyo, which was held at 7 p.m. 2 and 3, Xia had a special time with his long-awaited fans in Kobe and Nagoya. Since the 2016 musical Ballad Concert in Japan, Xia has been meeting with Japanese fans for the first time in a long time, so the concert also foresaw a variety of set lists and special stages that can only be seen in Japan. Xia carefully paid attention to the various things of the concert, one by one, so that he could breathe closer to the stage with his fans. 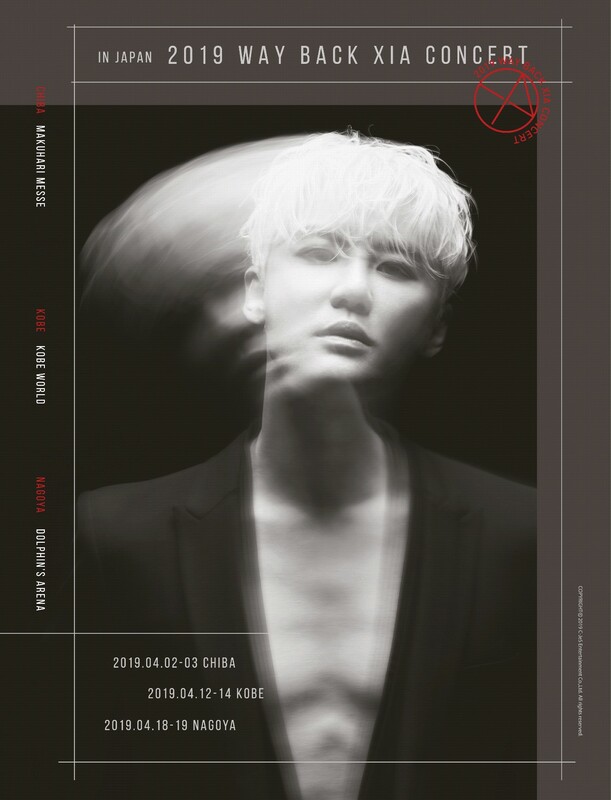 Xia successfully finished the "2019 WAY BAK XIA TOUR CONCERT in JAPAN," which was held at Makuhari Metse in Chiba, Tokyo at 7 p.m. from 2 to 3 of this month.